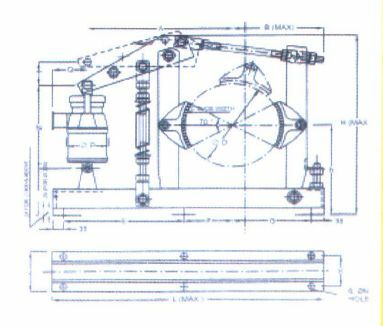 Thruster Brake is a device to retard the speed and to hold the moving machinary when it is stationary. 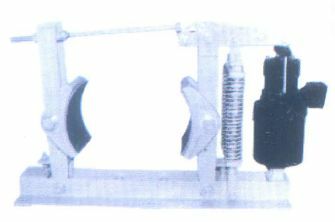 The braking force to the shoes is applied through the spring by means of lever/ rod mechanism. The shoes are moved clear of the drum again through lever/ arm linkage mechanism by thruster which over comes spring force. "MULTITECH SYSTEMS" Offers a complete range of Electro hydraulic thruster for the total range of thruster brakes. Shoes : Self-aligning easily removable high grade cast iron fitted with best quality fabric linings. Large cooling surface drum when brakes are cleared. Tie Rod/ Guide Rod : large Section securely fixed in a lug. The tie rod transmits the spring force on the shoes by a simple lever system. Springs : Compression springs are vertically mounted through the guide rods are are held securely between guide plates. 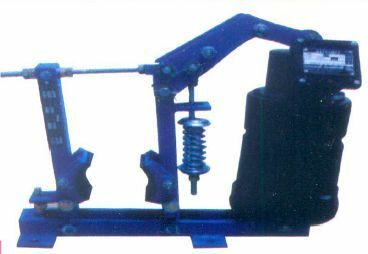 One are more springs are useddepending upon th brake size and thruster capacity to obtain the desired braking torque.